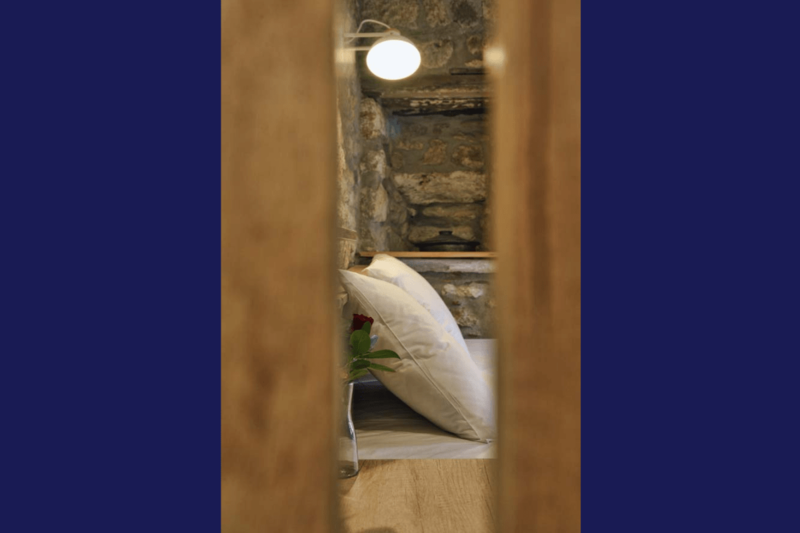 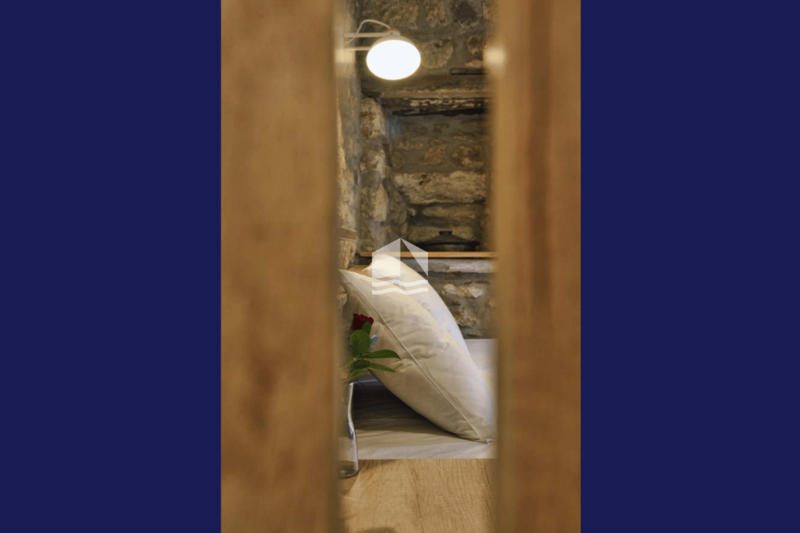 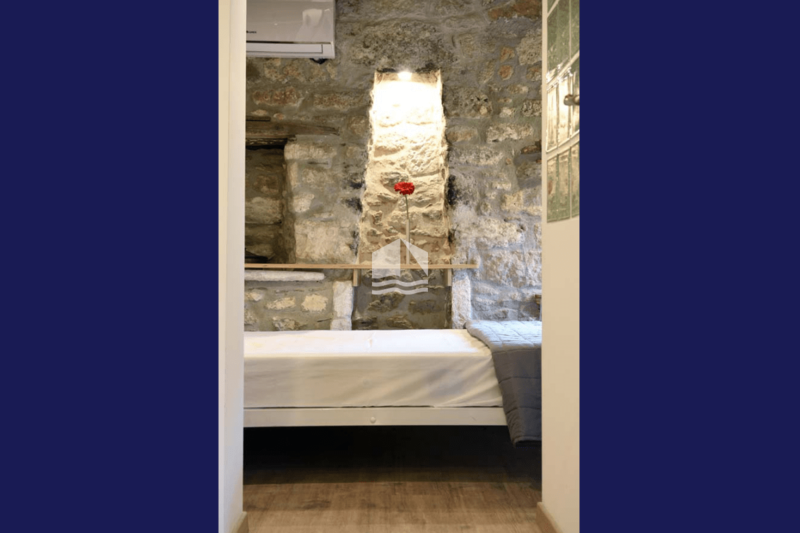 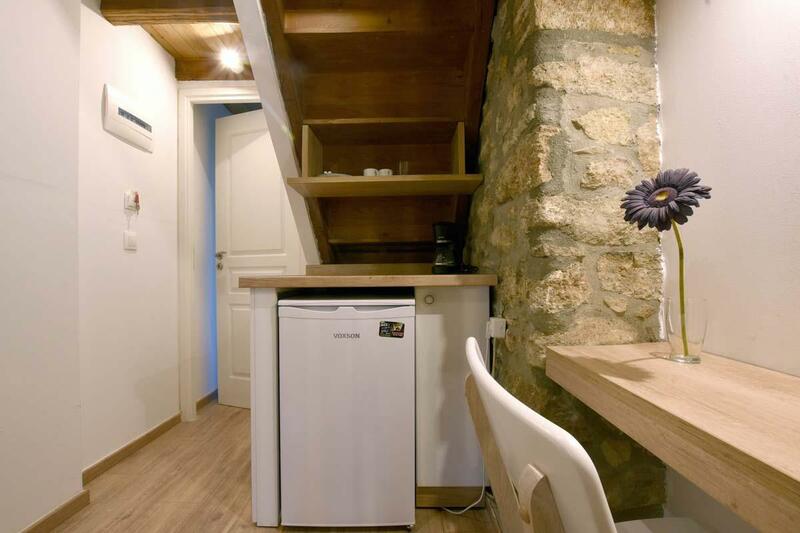 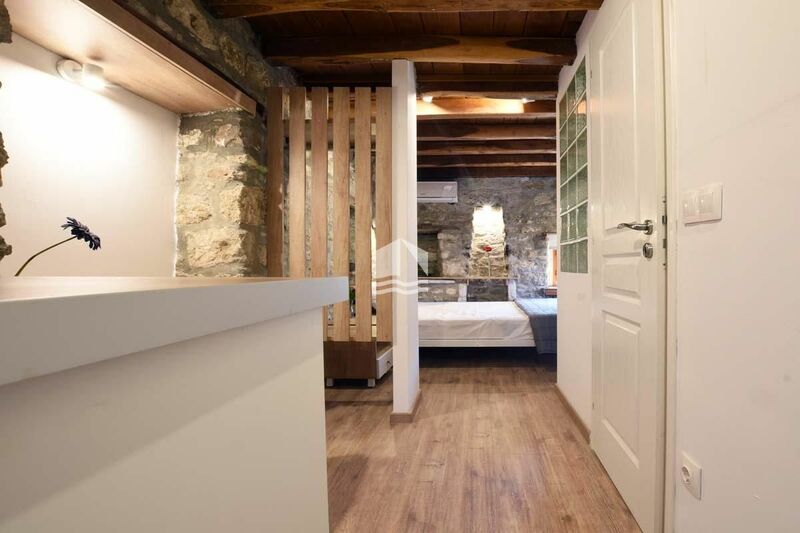 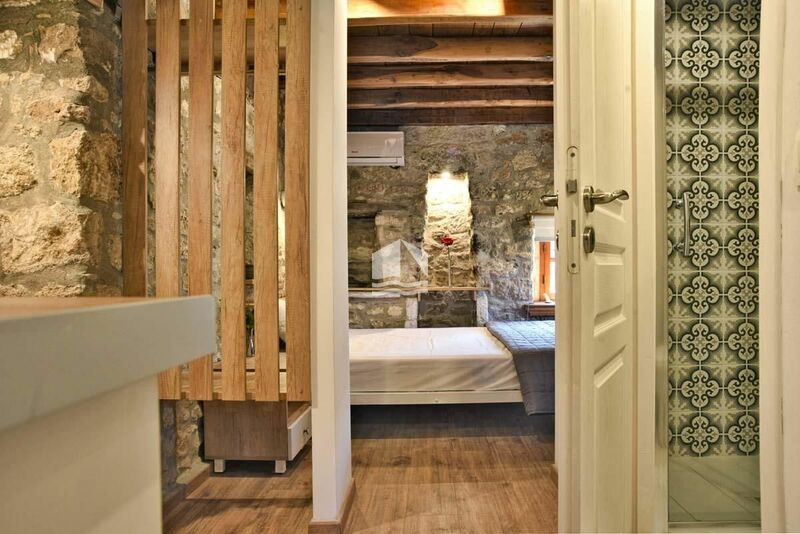 Camara 1 is a modern and contemporary double room in Afytos Chalkidiki. 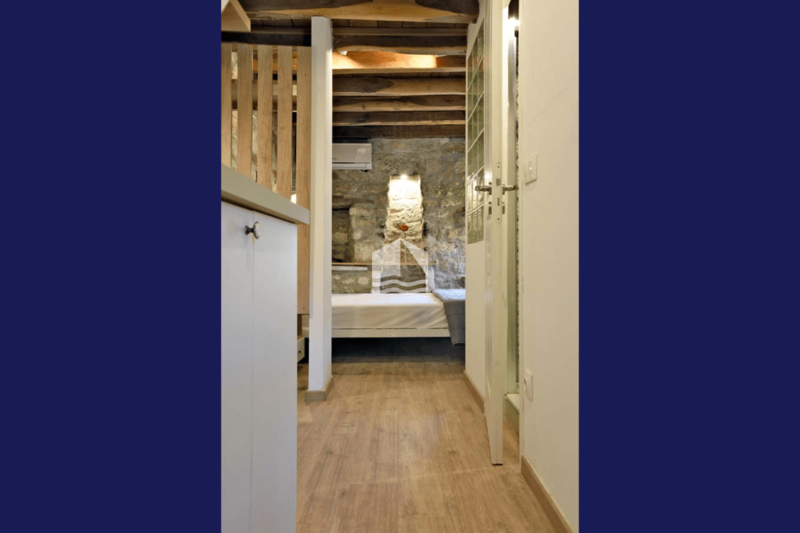 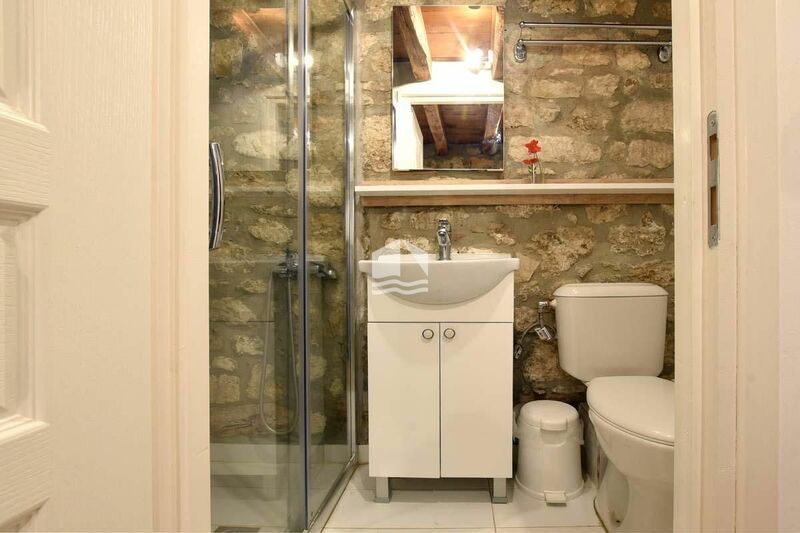 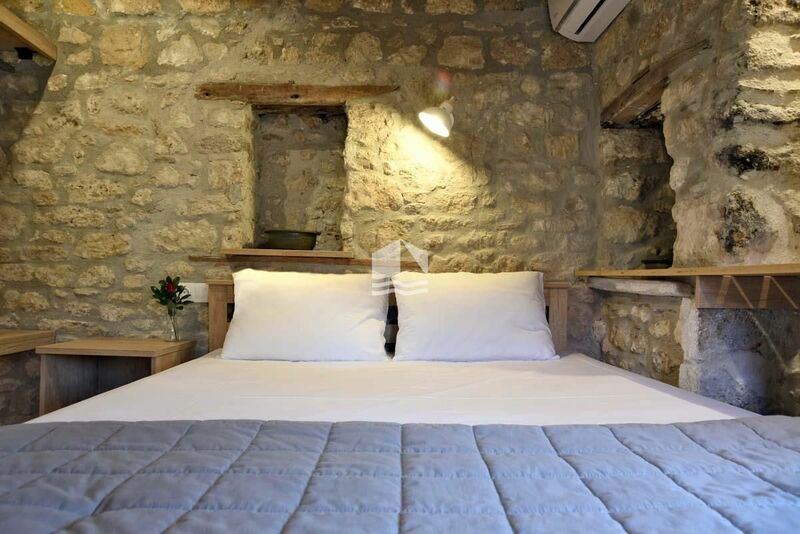 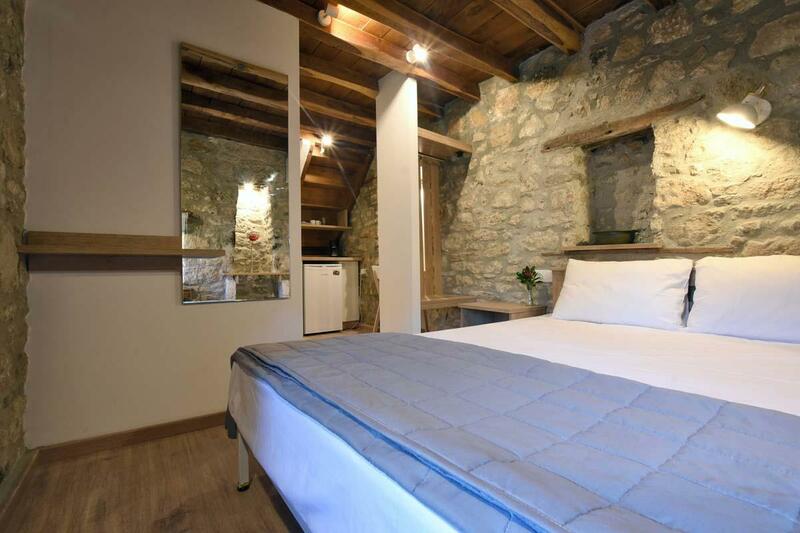 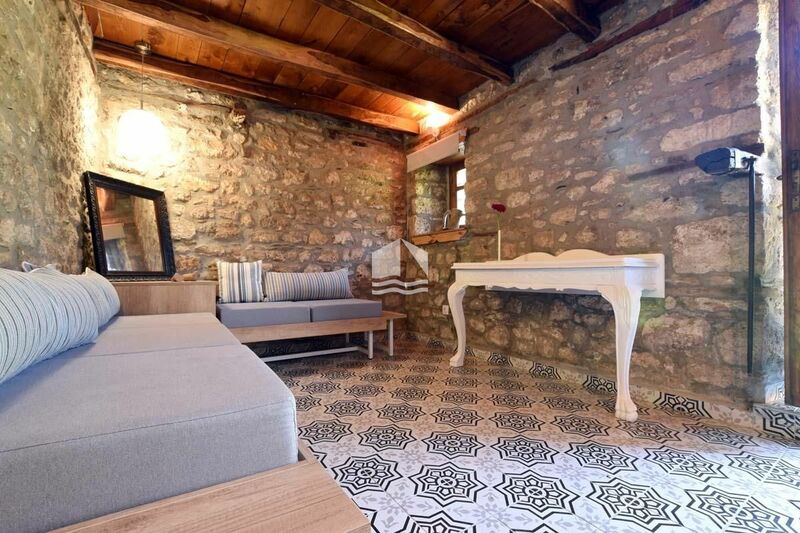 It has a private bathroom with shower and garden view to the traditional settlement. 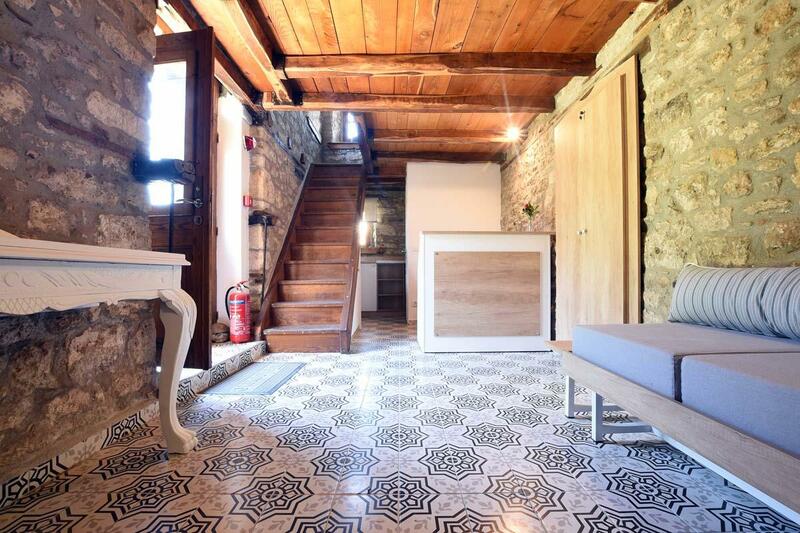 It is located on the first floor of the building. 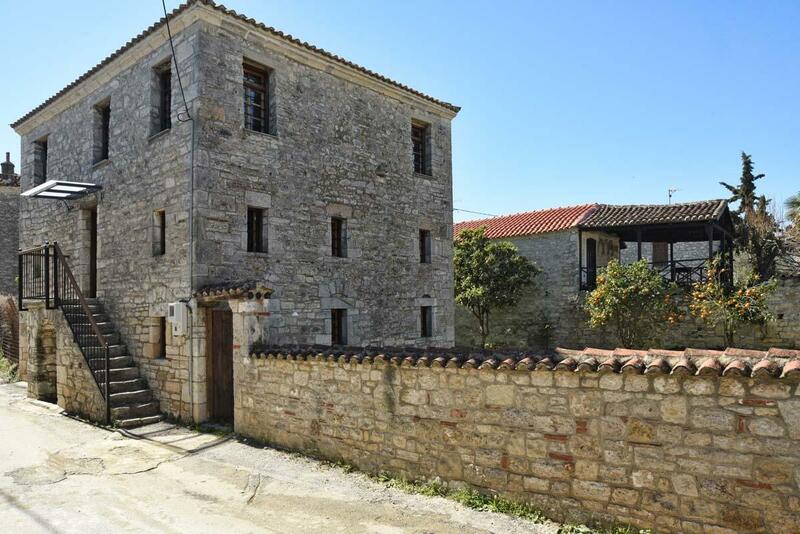 Afytos Casa Grigoriou was built in the 18th century and is one of the most important and historical buildings of Afytos, Chalkidiki. 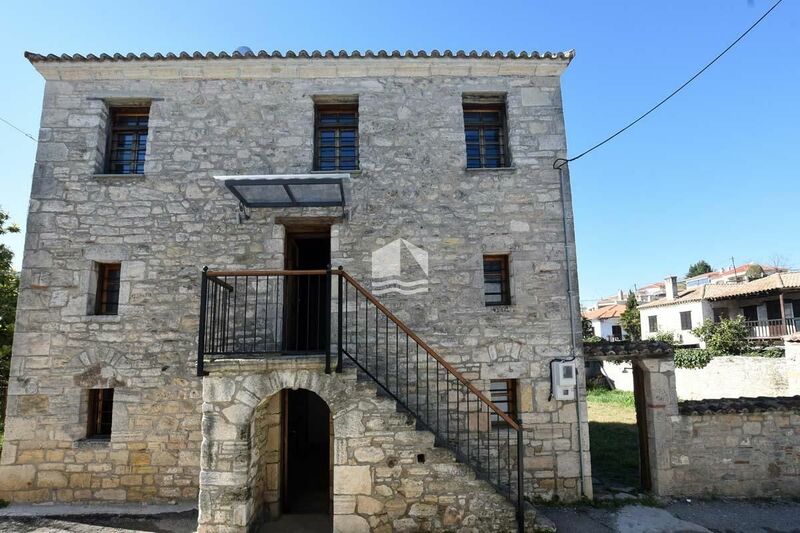 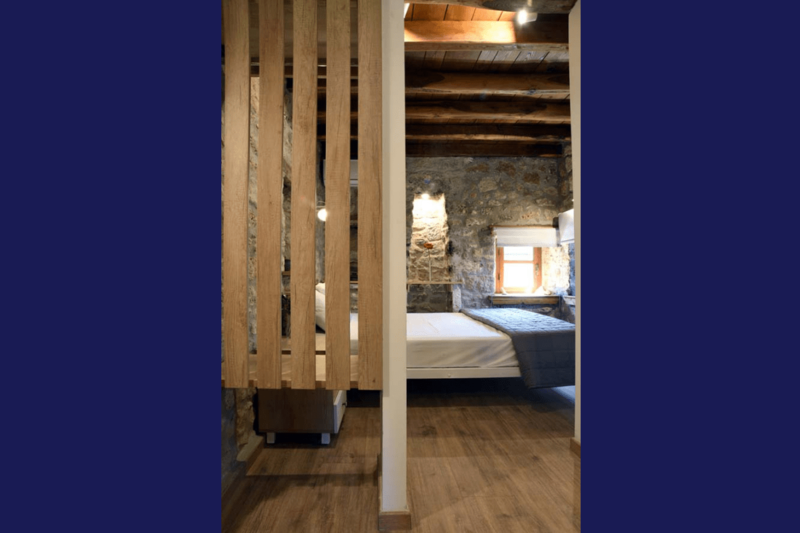 It is located in the heart of the Afytos, few meters from the center of the village, where is the church of Agios Dimitrios, the traditional shops, restaurants and supermarkets of the area. 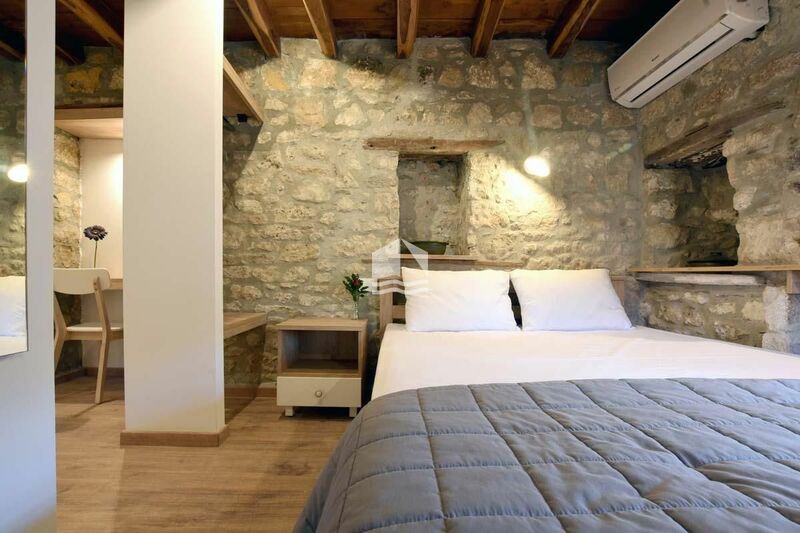 In 2018 it was fully and completely renovated (new electrical and plumbing facilities, new floors and new high quality furniture) and is available for rent, offering 5 luxurious, independent rooms. On the ground floor there is the reception and a triple room. 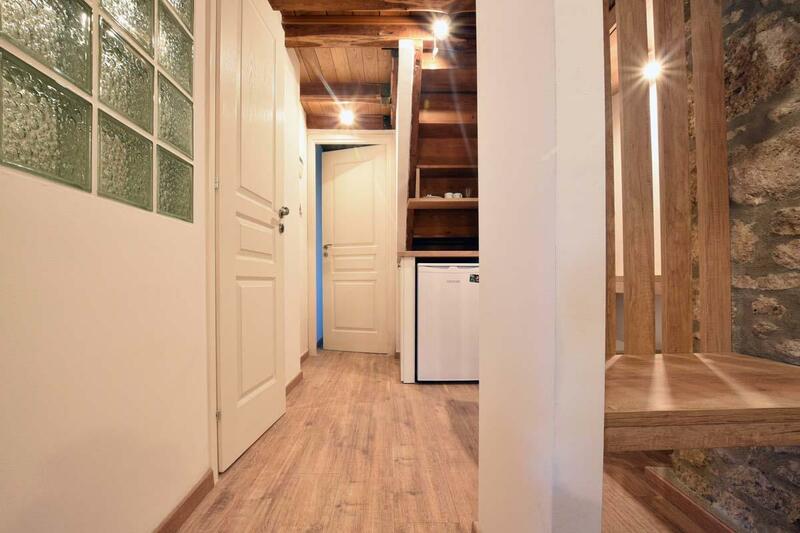 The first and second floors have one double and one triple room. 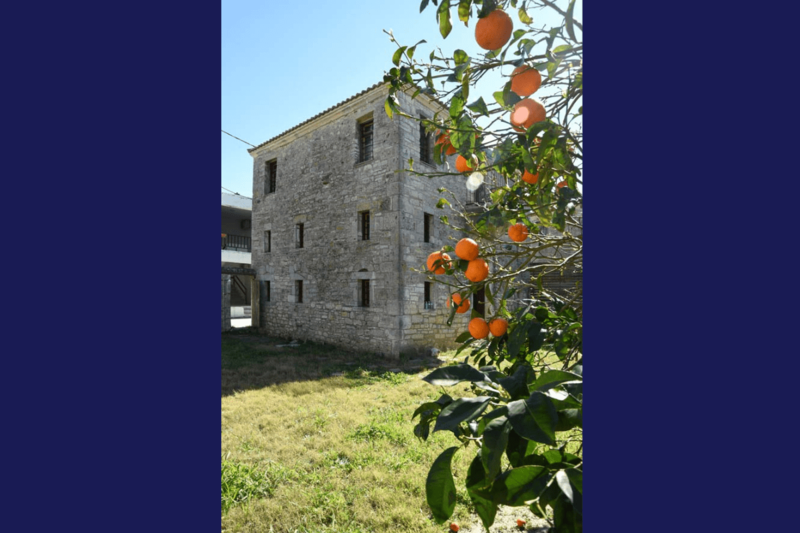 Afytos Casa Grigoriou features a garden with orange trees and laurels and outdoor furniture. 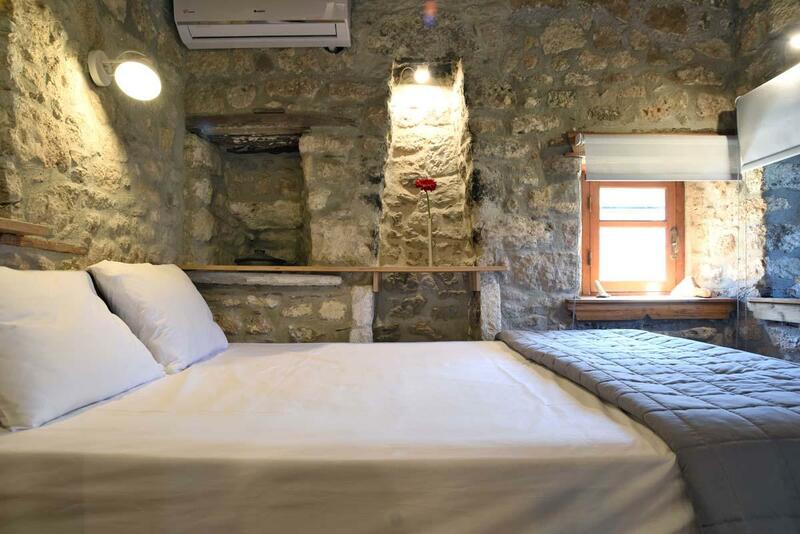 In addition, parking spaces are available for the guests.